It's been a good month so far for Zelda fans. 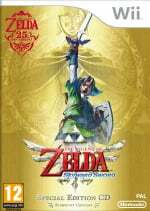 Not only has the monumental book, The Legend of Zelda: Hyrule Historia, been translated and confirmed for the West next January, but this week we also had the smug satisfaction of knocking off E. L. James' infamous Fifty Shades of Grey from the top spot on amazon.com's best-sellers chart. Now, Zelda fans, your month is going to get even better, as Kotaku has published a first look inside the newly translated book. 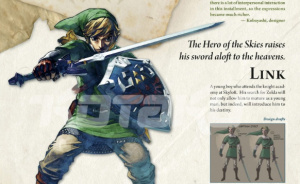 The page in question takes a look at Link's most recent Wii epic, The Legend of Zelda: Skyward Sword and contains a section written by designer, Ryuji Kobayashi, about how Link was presented in the franchise's latest update. The Link presented here is a mere seventeen and a half years old. He was designed as such - "halfway grown up, not fully matured" - in order to strike a thematic balance between this and Twilight Princess. His armament and attire remain mostly unchanged (with perhaps only the absence of arm guards). The expressions on his face are portrayed as slightly more comical and lighthearted than before, so that regardless of what expressions he makes, the expressions themselves seem relatable. Additionally, there is a lot of interpersonal interaction in this instalment, so the expressions become much richer. If you would like to join in the pre-order madness, you can secure a copy for yourself at the newly reduced price of $20.99. Why do we get shafted in the UK, it's on Amazon for over £22! That's nearly double what the US pay! FFS!!! @Joco84 Worry ye not, you can preorder for only £17.41 at Forbidden Planet. So happy I reserved my copy already, SO happy. I had no idea it would be this cool. @Dazza Thanks for the info, there is a store in my city so i'll go buy one when it comes. 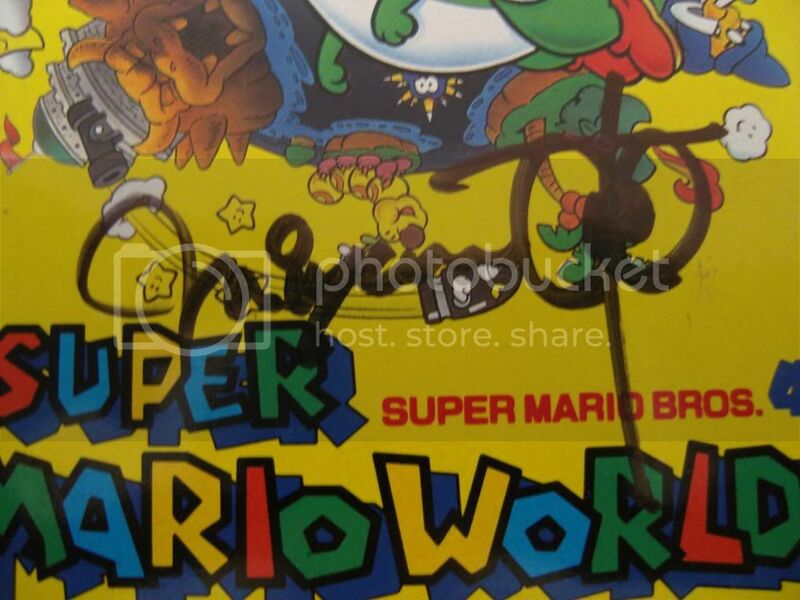 I don't think this book would be worth anything, with out Shigeru Miyamoto's signature. What exactly is that a copy of in the photo? Also, if that's yours, ! And how?! Cool, this is going to be a fun read. I can't wait to finally get this. I'll get my dear mommy to help me pre-order this. Oooh, schmexy. Looking forward to grabbing a copy! Own the Japanese edition already.. But that doesn't hold me from pre-ordering the english one ! @Happy_Mask This is the question I think we all want answered. Tingle or nothing, Nintendo. I may get this with Christmas money or gift cards. And installment is spelt with two l's. Sorry, it just threw me off because for a moment I thought that was in the book. Hopefully it'll be around £20. @Dazza Ordered it from Forbidden Planet! Thanks for the tip. The alternate Midna concepts in this book are pretty awesome, though the very best design did win out in the end as the one we currently got. HOW THE HELL DID I NOT KNOW ABOUT THIS. @0LD_SK0OL_PUNK Get one while you still can. They're cheap as dirt.